When you have a need lawyers in Mantua NJ, to help you through family, estate and other disputes, contact Puff & Cockerill law offices today. We’ve been serving residents of Gloucester County for over 40 years from our Woodbury location, and we’ve recently expanded to a convenient office in Pitman. At Puff & Cockerill, we’re committed to the best legal results for you and your family, at a reasonable cost. Estate Law. We help you and your family with estate planning, to prepare for a family member’s death or incapacitation. We can also represent you in estate disputes, whether it’s contested wills or misappropriated assets. 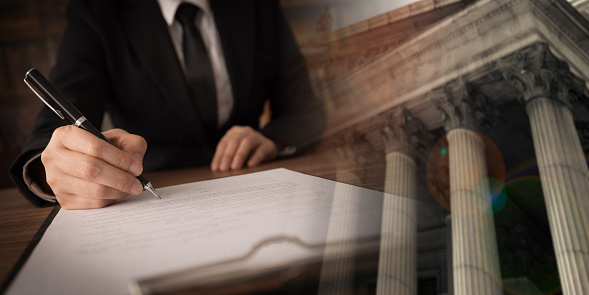 Our estate attorneys understand the emotion and stress associated with estate law, and we work to maintain strong working relationships with clients and families through the process. Family Law. Our family law attorneys have years of successful experience in matters of divorce, custody cases, pre-nuptial agreements and other disputes. We work to find the best legal solutions for you, as you go through the inevitable stress of divorce and family conflict. Whenever possible, we work to spare you the expense of litigation through less costly alternatives. Real Estate Law. If you need legal representation in property transactions, a landlord/tenant dispute, or breach of contract matters, contact Puff & Cockerill. Our experienced real estate attorneys are well-versed in the complex real estate laws of New Jersey. We know how to protect your rights in legal disputes, whether you’re a homeowner, landlord or tenant. From our new office in Pitman, Puff & Cockerill is the answer to your search for effective lawyers in Mantua NJ. Contact us using this form today for an initial consultation. Our attorneys look forward to helping you through your legal problems and moving on with your life.